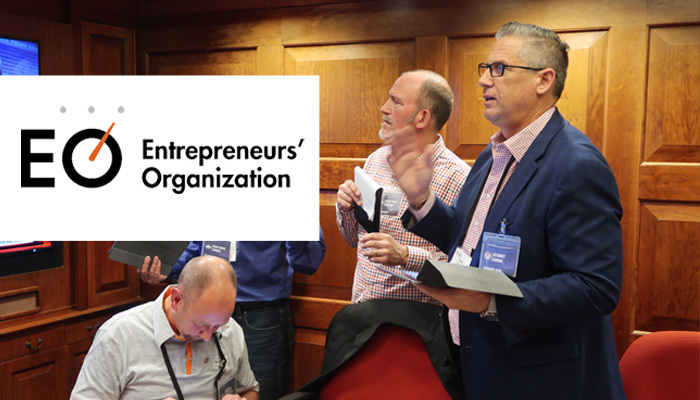 Last month, I and 27 other members of the Entrepreneurs’ Organization flocked to Simi Valley, California for North America’s first ever Regional Leadership Academy. The three and a half day experience was packed with leadership exercises and incredible speakers like entrepreneur, educator and public servant Warren Rustand and software genius George Gan. There was also an immersive experience in which my peers and I participated in a stressful and intense “mock” White House Situation Room briefing, taking on various roles within the Presidential Cabinet. But amid all the hands-on experiences, what resonated with me most was a simple phrase, reiterated over the course of the training: Every great leader must have clarity of vision, a certainty of intent and be led by the power of their values. Weeks after returning from the Academy, this sentiment is still on my mind—and directly guiding what we do here at Innovative Career Resources. As executives, we can’t change who we are, but we can look internally, listen to learn, become more aware of our surroundings and transform to become more effective and conscious leaders, employers, spouses and parents. Establishing clarity of vision, certainty of intent and organizational values are all crucial elements for a successful journey to transformational leadership. As a conscious leader, it’s vital to clearly define where you see your company this year, in a few years and even many years down the road. As Bajarin so aptly put it, having a vision is what allows you to bridge the gap between where you are now and where you want to go. One study showed that small business owners who created a vision board to see their goals were more than twice as confident that they’d achieve them than those who didn’t. I’ve experienced the power of setting a clear vision while leading Innovative and use this technique to bring the future into focus. Our vision at Innovative is to build strong relationships and embody integrity in everything we do. A few years ago in the Harvard Business Review, a Stanford University professor studying intent described it like this. It’s not enough to be a good leader; we have to be leaders for good. And that requires a certainty of intent—one that we define for ourselves rather than allowing others to define for us. This intention is the engine that drives our vision. At Innovative, we ask ourselves every day what kind of footprint we want to leave for our clients, our associates, our staff, our vendors and our families. We separate ourselves from the “temporary staffing” mentality by acting as career consultants, because job seekers are more than just timecards or invoices—they’re people. We want to help and mentor them to achieve their best, just as we want to help each of our clients find the perfect fit for their needs. How do we know we’re doing our job right? When our clients reap the rewards of working with top talent, and our job seekers are satisfied with their placements. Defining and redefining values is vital. Why do I use the word “redefining?” Because although our core values will never change, it’s natural to adapt and add to them as we grow. As we strive to be more conscious leaders, these values should drive every decision we make in both our personal and professional lives. At Innovative, our values help us navigate challenging business situations and decisions while always trying to create a positive 360-degree experience for our clients and associates. The other day, during a tricky situation with one of our clients, I was reminded of the importance of knowing why we’re here and what we stand for. Rather than letting my frustration get the better of me, I took a few moments to get grounded, reminding myself of Innovative’s core principles—integrity, relationship building and trust. From there, our certainty of intent was easily revealed, and the appropriate solution became crystal clear. The client is satisfied, our associate is happy, and the values that have carried us to where we are today will continue to shape our future growth and add continuous value for our clients and associates into the future. Vision, intent and values are all good and well. But we also have to develop the right mindset, especially in situations that test our dedication to our vision, values and purpose. At EO’s Leadership Academy, Gan introduced me to the concept of “Shoshin.” Shoshin means approaching situations with a beginner’s mindset and having an attitude of openness, eagerness and lack of preconceptions when studying a subject—even when studying at an advanced level. As leaders, it’s easy to fool ourselves by thinking we have all of the answers, but in doing so we miss the opportunity to learn and grow. Fostering an open mind can aid our leadership transformation by allowing us the freedom to explore and solidify our vision, intent and future opportunities. May 20 – Tyra K.
May 21 – Michaela S.
May 22 – Erika C.
May 29 – Carol S.